Charlotte Premium Outlets is North Carolina's newest upscale outlet center located just 10 minutes west of downtown Charlotte. They feature an impressive collection of fashion designers, luxury brands and name-brand manufacturers with more than 100 designer outlet stores including Gap Outlet, Kate Spade New York, Lucky Brand, Michael Kors and Nike Factory Store. Enjoy exceptional brands at extraordinary savings of 25-65% for shopping that's always worth the trip. Whether you're taking a day trip to shop with the family or want to spend the weekend exploring the shopping center and surrounding attractions, you'll love stopping by Charlotte Premium Outlets for a pleasant getaway. Enjoy an assortment of delectable dining options at one of the available restaurants or grab and go stations while shopping for an experience that is truly unlike any other. Either way, you'll love the shopping, dining and attractions readily available in the area. If you're planning on taking a day trip to the shopping destination or even staying for a few days, there are plenty of area attractions that are perfect for the entire family. Charlotte has a variety of attractions to fit everyone's expectations. Ramp up the speed by visiting Charlotte's NASCAR hall of fame or Charlotte Motor Speedway. Enjoy whitewater rafting at the U.S. National Whitewater Center, or enjoy the thrill seeking, stomach dropping coasters at Carowinds. For all the sport lovers, come catch a homerun ball at the BB&T Ballpark, home of the Charlotte Knights. Rock your blue, white, silver and black and help cheer on the Carolina panthers at The Bank of America Stadium and rally together to watch the Charlotte Hornets basketball and Charlotte Checker's hockey team play at the Time Warner Cable Arena. Explore the different cuisines Charlotte has to offer and choose from a wide variety of close-by dining options for all ages at the shopping center. No matter what your tastebuds are craving, you're sure to find exactly what you're looking for close by. From upscale restaurants to food trucks, Charlotte provides it all. Take some time to visit Harry's Grille & Tavern for a stylish steakhouse feel along with a full bar and small-plate options for a quick dinner or lunch. After shopping all day, head to Piedmont Social House for drinks on date night or with the girls. 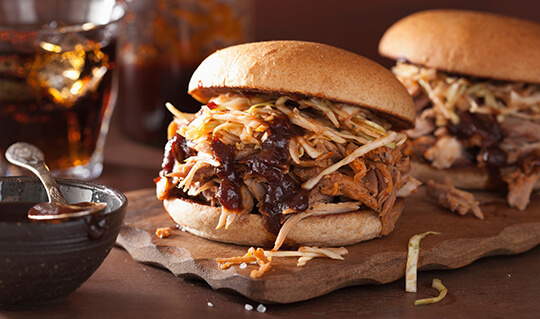 Check out Jim ‘N Nick's Bar-B-Q for classic southern BBQ using traditional techniques. Your taste buds will thank you when you stop by one of the many dining options close to the shopping center. A weekend getaway isn't complete without a fun night out on the town. 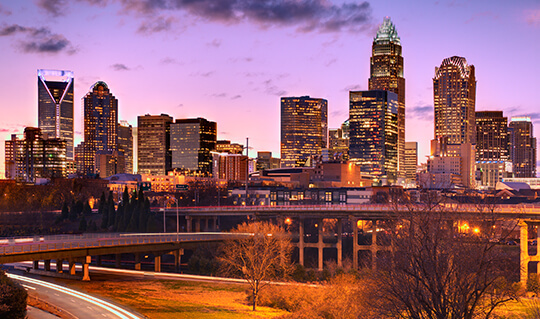 Step out on the town and see what Charlotte's nightlife has to offer when you visit for vacation or a weekend getaway. Check out the different clubs, pubs and bars at NC Music Factory. For nonstop fun, visit Charlotte's hotspot, The EpiCentre, that provides partygoers with nearly 40 venues that include nightlife, restaurants and movies. 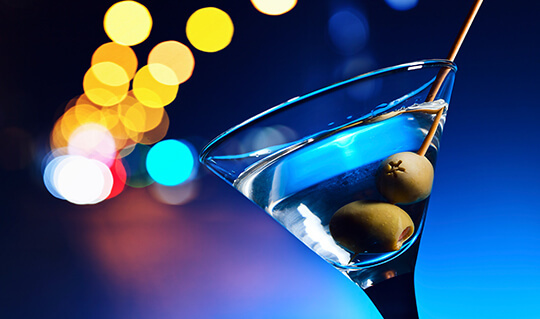 Dance the night away at Charlotte's popular nightclubs and bars including Label, Oak Room, Bar of Charlotte and Wet Willies. Or, laugh out loud and visit Charlotte's comedy clubs AvidXchange Music Factory and Comedy Zone Charlotte. There are plenty of options for you to choose from after a long day of shopping when you visit the area for a weekend destination. If you're interested in making Charlotte Premium Outlets your next vacation destination, there are a wide variety of accommodation options to choose from for both the business and leisure traveler. From bed and breakfasts to charming inns, or luxury resorts to economical motels, there are a wide selection of lodging to meet every individual comfort and budget. 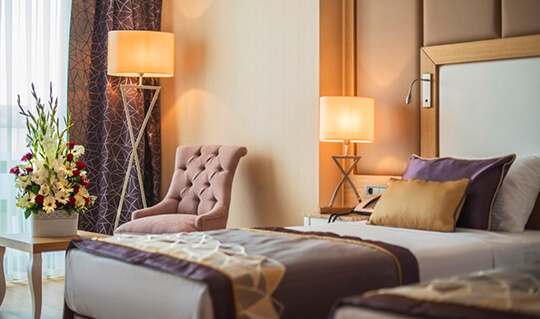 Planning an overnight stay while visiting the shopping center? Review the savvy shopper package at Aloft Charlotte Ballantyne, Fairfield Inn & Suites Charlotte Airport, Residence Inn Charlotte Airport, Residence Inn Charlotte Steele Creek, and Renaissance Charlotte Suites Hotel that provides shoppers with deluxe accommodations, including a $50-$100 gift card and a free Savings Passport that you can use during your visit. Also, check out Charlotte Marriott South Park that provides a free continental breakfast, $50 gift card and Savings Passport book. Right off exit, Right on Dixie River Rd. Charlotte Premium Outlets will be on your right. Left off exit, Right on Dixie River Rd.